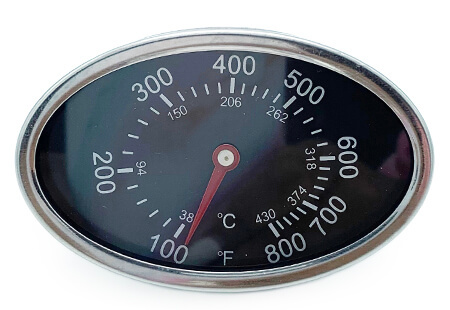 Home :: All Products :: Temperature Gauge - Dual Mounting Holes - 2-15/16" x 1-7/8"
CENTER OF PROBE TO MOUNTING BOLTS IS 3/4"
MOUNTING BOLT TO MOUNTING BOLT IS 1-1/2"
Will this fit my Dyna-Glo DGP350SNP-D grill? How does the temperature probe mount to BBQ? Where does it mount at? It is best to remove your old gauge and see how it is mounted, that way you will know what you need when buying a replacement.